London based architectural practice established by John William Simpson (1858-1933) and Edmund John Milner Allen (1859-1912). They designed the City Hospital, Liverpool (1887), Victoria Institute, Worcester (1890), Manchester Royal Infirmary (1896) and won the competitions for Glasgow's Kelvingrove Art Gallery and Museum (1892) and Cartwright Memorial Hall, Bradford (1899). 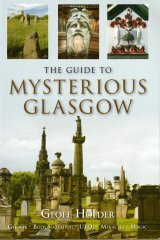 Since the completion of Kelvingrove Art Galley and Musuem in 1901, an apocryphal story has been told (and accepted as part of Glasgow's folklore) that the building was built the wrong way round and that after discovering the mistake, the architect threw himself off one of its twin towers. This, of course, is a nonsense as the remit for the original competition stipulated that the building's main front and entrance should face north into Kelvingrove Park, and not south onto Dumbarton Road. The architects also survived the project to pursue their distinguished careers well into the 20th Century. James C Young , William Vickers , J M Sherriff , William Shirreffs , James Harrison Mackinnon , and sculptors Sir George Frampton , F D Wood , William Birnie Rhind , Aristide Fabbrucci , Edward George Bramwell and Johan Keller , some of whom accompanied Simpson on a 'Busman's holiday' to Paris for inspiration prior to starting at their own work at Kelvingrove. Archibald Macfarlane Shannan was also originally included as one of the building's sculptors but his bronze figures on the towers and main entrance, representing Success, Fame and Immortality, were destroyed on the orders of T J Honeyman (the museum's Director) during World War II. Although Kelvingrove is currently being restored in a multi-million pound project to transform the building into the jewel in the city's cultural crown, no serious consideration has been given by its present trustees to recreate or replace these crowning features, which Simpson intended to symbolized the aspirations of the building's original promoters, who, ironically, fought a protracted battle with Simpson to have most of the building's great sculpture scheme dispensed with at its planning stage due to its cost. Simpson also designed public monuments, including one to the renowned sculptor EO Ford , St John's Wood, London (1902), which incorporates a bronze figure by Ford himself; the Boer War Royal Sussex Regiment Memorial, Brighton (1904), and Queen Victoria, Bradford (1905). In 1915, in partnership with O M Ayrton, Simpson designed the New Western Australian Offices, London, for which Albert Hodge provided mantelpieces carved with lion heads. His most important commission was for the 1924 Empire Exhibition at Wembley, including Wembley Stadium, which earned him a knighthood. Elected ARIBA 1882, FRIBA 1900, Simpson served as PRIBA 1919-21. Glasgow Art Gallery and Museum - North Elevation - Central Porch. In the spandrels of the north, east and west arches of the entrance porch.